Nashville, TN -- The Country Music Hall of Fame® and Museum will unveil a special spotlight exhibit dedicated to beloved singer Dottie West on November 9. Dottie West: Country Sunshine, which will be located within the museum's permanent exhibit on the second floor, will incorporate costumes and relics spanning West’s four-decade career. The exhibition will run through May 2, 2013. Nashville, TN -- Minnie Pearl: Centennial Celebration, a spotlight exhibit on one of the most beloved comedic figures of the twentieth century, will be unveiled August 10 at the Country Music Hall of Fame® and Museum. The exhibit, which celebrates the 100th birthday of Minnie Pearl, the beloved character created by Sarah Ophelia Colley Cannon, is located within the museum’s permanent exhibition and will run through August 2013. ClampArt is proud to present “Henry Horenstein | Honky Tonk: Portraits of County Music.” The exhibition coincides with the release of the artist’s monograph of the same title from W.W. Norton & Company (Hardcover, 120 illus., 10.25 x 10 inches, $50), which includes a foreword by Eddie Stubbs, one of the two regular announcers for the long-running Grand Ole Opry on WSM radio. 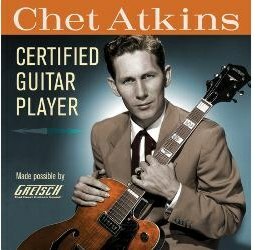 Nashville, TN -- The Country Music Hall of Fame® and Museum is preparing to bid farewell to the cameo exhibit Chet Atkins: Certified Guitar Player, Made Possible by the Gretsch Company, which opened in the museum's East Gallery on August 12, 2011. In recognition of the exhibit's July 15 finale, the museum is offering a packed lineup of Atkins-themed programs including a special program starring Grammy-winning guitarist Earl Klugh on Saturday, June 30; additional concerts by some of Atkins' friends, peers and protégés; a series of film screenings; and daily instrument demonstrations. The exhibit was extended during April of this year. Nashville, TN -- The tear in her voice. The catch in her throat. These are the signatures of the legendary Patsy Cline. 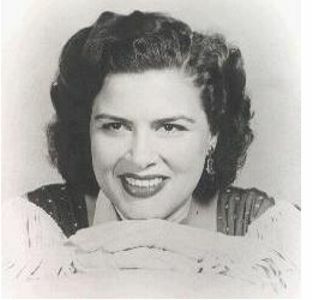 The Country Music Hall of Fame® and Museum will pay tribute to this inimitable artist with the cameo exhibition Patsy Cline: Crazy for Loving You, which opens in the Museum's East Gallery on August 24, 2012, and runs through June 2013.